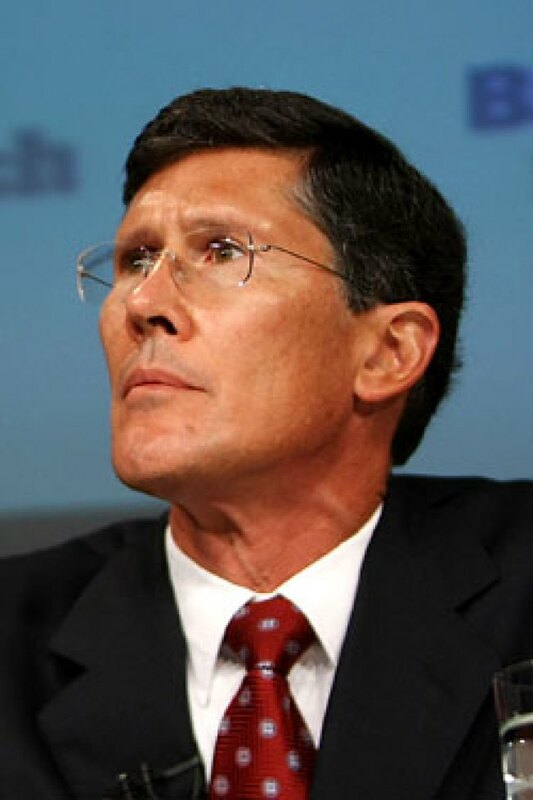 How Long Will It Take John Thain to Join the McCain Campaign? So, John McCain is getting hammered over the statements he made about the economy being fundamentally “strong” and his subsequent backpedaling this week. Economic policy adviser Carly Fiorina is on a time out after saying on a radio show that Sarah Palin is probably unfit to run Hewlett-Packard, the company Fiorina once headed. His other guy is out there waving a BlackBerry around, saying technophobe McCain invented it. Awkward. But something tells us that the pundits who have been having so much fun with this stuff probably won't get to kick it around for that much longer, since a white knight has just became available: John Thain. Before he became the CEO of Merrill Lynch, which he just sold to Bank of America, Thain was rumored to be in the running to join the McCain camp as a potential treasury secretary. He's one of McCain's biggest supporters — he's a bundler and has donated $32,700 to various McCain-related committees. Early reports of the sale of Merrill indicated that despite his obvious man-crush on BofA CEO Ken Lewis, Thain would not be taking a role there. Unlike James Johnson, the former Fannie Mae CEO whom Barack Obama picked to help oversee his V.P. search, Thain has not been entirely sullied by the current crisis: As Thain himself said back in July, the problems at Merrill weren't his fault, they were legacy problems. And Thain has been praised for his decisiveness about the sale of Merrill Lynch. "He saw the organization for what it was [because] he hadn't been marinating in the Merrill soup," an executive consultant told the Journal yesterday. "He didn't feel honor-bound to defend past decisions and mistakes." Now doesn't that sound like just the kind of guy a candidate piggybacking on "change we can believe in" needs? Also, Thain lies like a rug. So we imagine he'll fit right in! We wonder how long it will take for them to make the announcement, since Merrill just got sold on Monday. Is the body cold enough yet? We bet they can't wait.